Green Deal Thoughts: Is green deal missing the behaviour measure? Could Green Deal fail it its core objective of reducing CO2? Green Deal is a necessary and welcome approach to funding improvement to our built environment fabric, increasing the use of renewable energy, and importantly providing structure to eco-fit work via the awaited PAS 2030 standard. Yet, could the Green Deal approach be seen as ‘too’ technical and not addressing user and occupant behaviour, increasingly recognised as the key ingredient to CO2 reduction in the built environment. I was reminded at the recent Lancashire Best Practice Club green deal event that our comfort levels within homes and buildings has increased by around 7 degrees over the last two decades or so. Those of us who grew up in the 60’s will recall the infamous morning frost on the inside of windows, since when, building insulation has improved, but at the same time we use more and more energy to improve our comfort levels. There is a danger that, as Green Deal makes home and workplaces more energy efficient, users and occupiers, especially older and vulnerable tenants, will simply take advantage of the increased comfort level and keep their energy levels and costs as before. (And coupled with the Green Deal Loan charge could increase energy bills and repayments) There is also research that suggests what we save on heating bills we spend on other high CO2 emitting gadgets or travel. 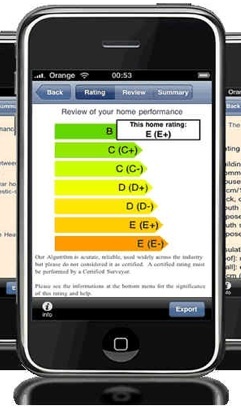 Alongside the measures within Green Deal we need user behaviour measures. Perhaps one of the easiest would be the ability to openly benchmark our homes or offices against a CO2 league table of homes in the street, offices on a business park. The technology and devices exist, see Pachube, the EPC iphone app I blogged on in 2010 and for example I can now easily and freely track my cycle rides against other riders on the same segment of road, on the Strava cycle app. Why not track my energy use against other homes and premises? This behaviour approach now needs the promotion alongside Green Deal technical measures. And Green Deal Assessors have a prime opportunity to introduce such measures. This entry was posted in comment and tagged benchmarking, co2, energy, energy effecient, Green Deal, greendeal, iphone, LCBPC, Pachube, strava on February 6, 2012 by martin brown. good news, Fairsnape – it will include behaviour measures. The important thing will be to promote the need for all Green Deal Providers to take this requirement seriously, and not lean on advisors to skip this part of the advice, as it is of no benefit to them. am impressed! Very useful information particularly the ultimate part 🙂 I take care of such information a lot. attempting to diversify their incomes.